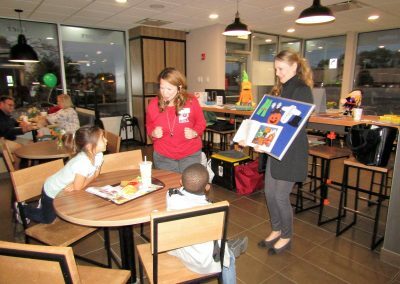 South Elgin Storytime at the Newly Remodeled South Elgin McDonald’s on McLean Blvd. On Monday, October 16th, The McDonald’s On McLean Blvd. 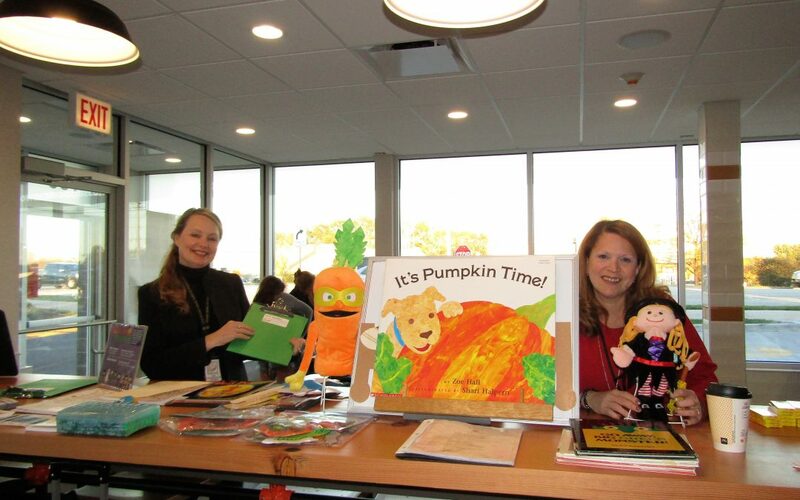 in South Elgin hosted Storytime by the Gail Borden Library, South Branch. 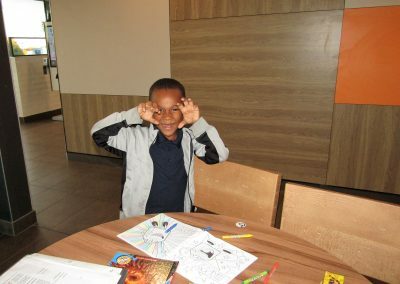 Children came to hear stories read by Ms. Madeleine Villalobos and Ms. Julia Langlois from the Library, and they also played some Halloween themed games. Hilda the Hungry Witch, A Counting Game, 5 Monsters Were Sleeping in my Bed, A Counting Game, and Monster, Monster Turn Around. 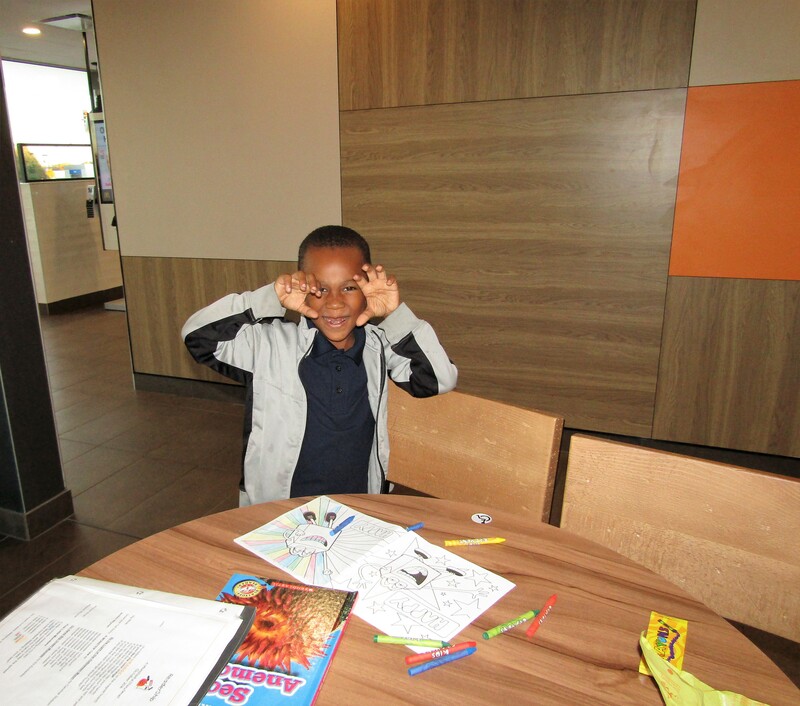 All children in attendance received free McDonald’s Coloring Book and Crayons as well as many free handouts, pencils, and even a take-home craft from the Library. This event was all part of the South Elgin McDonald’s Grand Re-Opening festivities which will run through October 28th. Come in and see your newly remodeled South Elgin McDonald’s on McLean Blvd. and say hi to the amazing staff. The new McDonald’s offers self-service order kiosks in the lobby, curbside delivery and of course the new McDelivery available on the UberEats app. While you are in the restaurant sign up for the Raffle for a chance to win a McDonald’s Arch Card, Dr. Pepper T-Shirts, and a Power Bank charger. The Owner of the South Elgin McDonald’s thanks the community for all their support during all the Grand Re-Opening Events. David Bear of the Bear Family is very proud to have this beautiful restaurant in South Elgin and proud to be a part of this great Village.